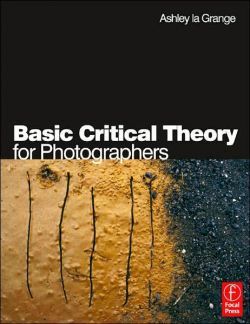 If you want to understand the key debates in photography and learn how to apply the fascinating issues raised by critical theory to your own practical work, this is the book for you! This accessible book cuts through often difficult and intimidating academic language to deliver understandable, stimulating discussion and summaries of the original texts. Key works by great writers such as Sontag and Barthes are explored, along with those from other prominent critics. You are guided through a broad range of issues, including the differences between Eastern and Western art, post-modernism, sexism, the relationship between photography and language and many other crucial debates. The book is illustrated by many classic images by eminent international photographers. Each chapter is followed by stimulating assignments and activities to get you thinking critically and apply theoretical knowledge to your own practical work. A helpful glossary provides quick access to all key terms and a substantial index references key words within the original essays which are not normally indexed. A must-have aid to anyone studying critical theory, this book provides intelligently written, illuminating insights on the 21st century's dominant art form. Introduction; Aims of book; Berger's 'Ways of Seeing' - consumerism, sexism and distortion of artistic worth by capitalism; Formalist/realist approach - Szarkowski and Shore; Sontag's 'On Photography'; Roland Barthes, "Camera Lucida"; Martha Rosler; Solomon-Godeau 'Inside/Out' (in conjunction with Sontag and Rosler this section illustrates how arguments develop); Clive Scott, photography and language; Grundberg's 'The Crisis of the real' - postmodernism; Raghubir Singh, "River of Colour"; "The Adventures of a Photographer", a short story by Italio Calvino; Haitian poem by Felix Morisseau-Leroy; Poem by George Szirtes; Case studies - advertising and photojournalism (not major sections); Appendixes; Glossary; Index; Reading list; Theoretical and practical assignments at the end of each chapter.